Well you know I've just completed the Art of Observation class with Heidi Swapp. You also know that in that class we learned all about Heidi's memory file concept. I thought I'd take some of the ideas we learned in class and incorporate them into a card. I made this using Lori Whitlock's "Maggie" collection available soon at JessicaSprague.com and my Silhouette Cameo. It was really fun. I started with a mini file folder from the Silhouette Library. I hope you like it! 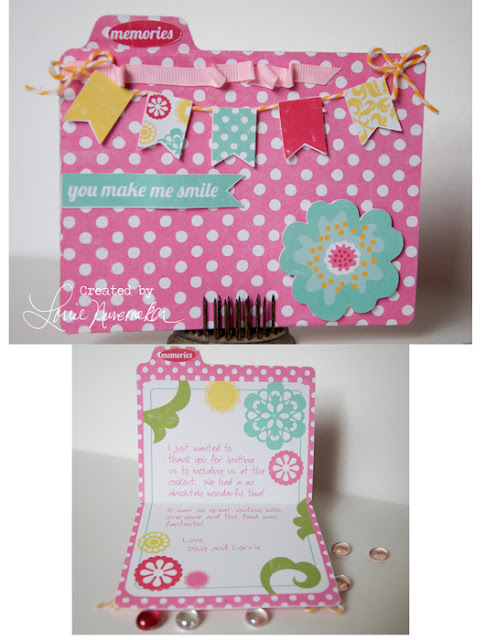 I can see using the file folder idea as a card template in a thousand different ways!